The case size itself is 45m, and with it's Lugless design the timepiece fit beautiful on the wrist. The case is slightly curved on the bottom to conform to your wrist. Each component of this watch has been thought out to the greatest extent. From the case construction to the dial design. We use AA grade plating which is far higher quality than the standard method of plating. This will protect the watch from the plating wearing off over time or from impact. 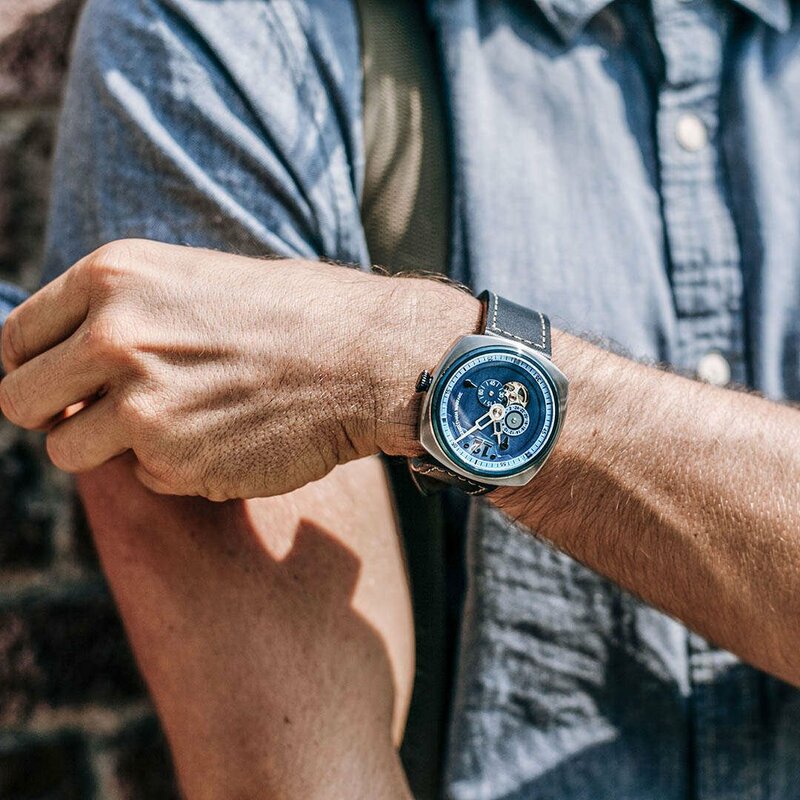 The caseback displays the automatic movement’s beating heart along with your individual serial number marking your piece as yours and yours alone. 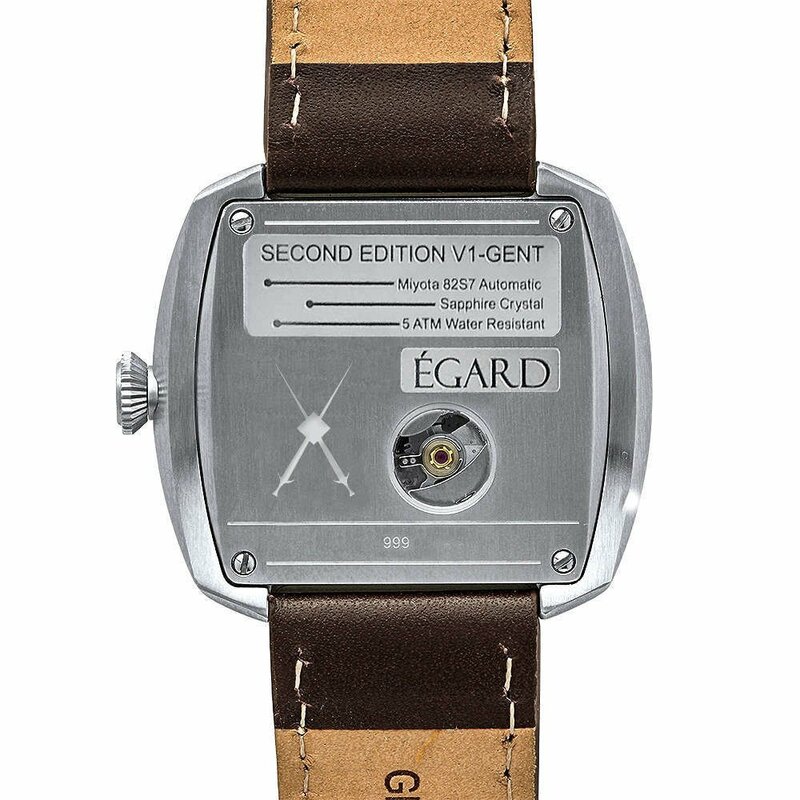 The V1-Gent is an Automatic timepiece. 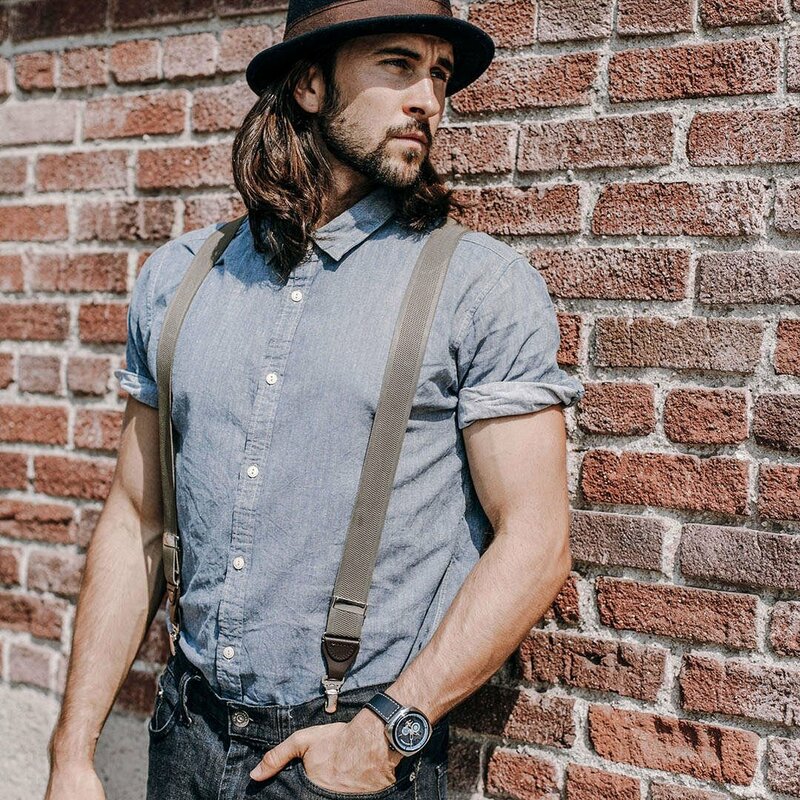 It is equipped with a Miyota 82S7 Japanese Automatic Movement which winds off the movement of your wrist. No batteries needed! 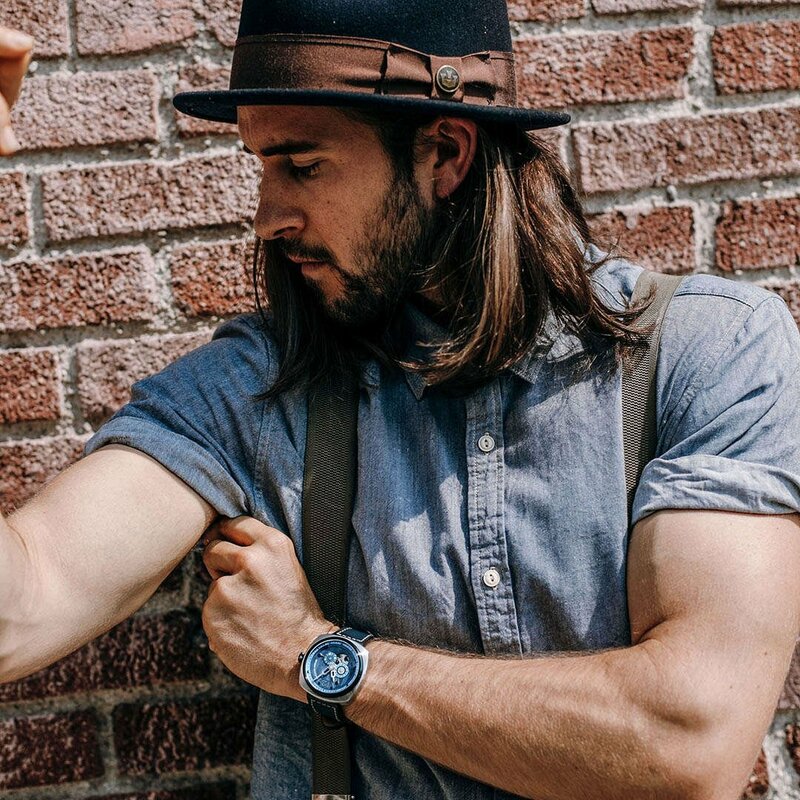 The Miyota 82S7 is a versatile stable movement that was slightly modified to create a look that was outside the framework of normal timepieces. The Subdials were switched for disks which gives the V1-Gent a slick, high end, unique appearance. 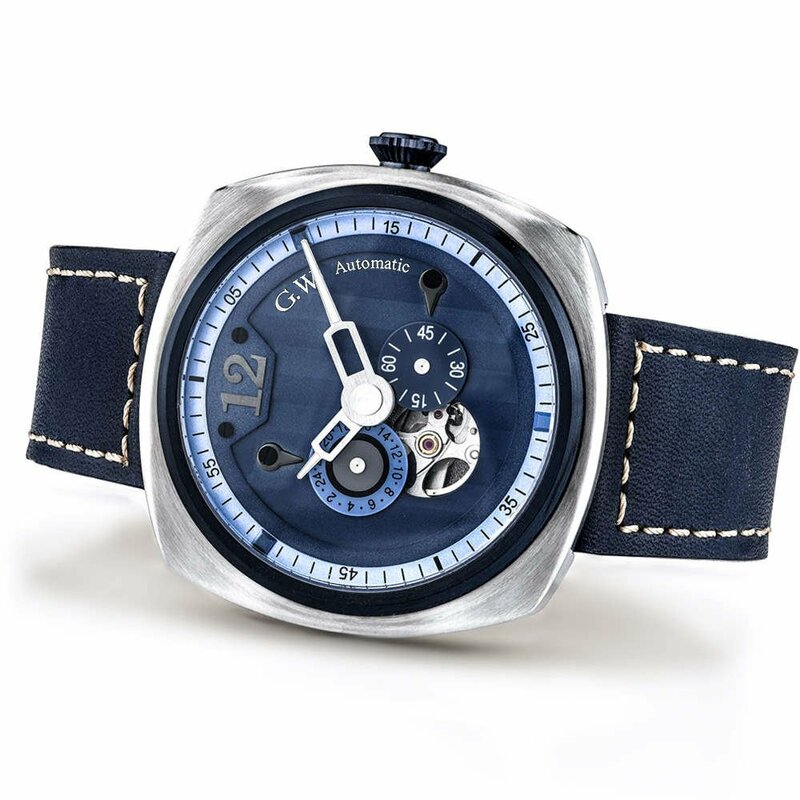 Brilliant watch ,beautiful to look at, a fabulous fully functional timepiece. You should feel justifiable pride.